As a child, dance taught me what is was like to be passionate about something. It gave me confidence and joy... It brought me closer to my soul. 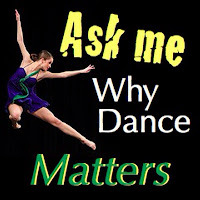 As I grew, I learned how dance became an outlet, my stress reliever. When I danced I thought of nothing else... It brought me closer to my soul. As a young adult, I started appreciating dance as an art form. My desire to perform grew stronger, sharing my gift made me happy... It brought me closer to my soul. At this stage in my life I am an instructor and studio owner. I can't imagine my life with out dance or the ability to pass my love onto others. To dance is to be free... It brings us closer to our souls.